On April 12, 1861, the long-simmering tensions between the American North and South exploded as Southern troops in the seceding state of South Carolina fired on the Federal forces at Fort Sumter in Charleston harbor. The battle of Fort Sumter marked the outbreak of Civil War in the United States. The attack provoked outrage in the North, consolidated support for the newly inaugurated President Lincoln, and fueled the onset of the war that would consume and reshape the country. 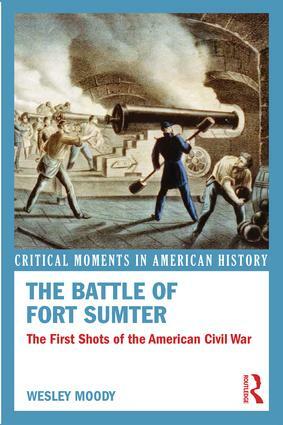 In this concise narrative, Wesley Moody explores the long history of tensions that lead to the events at Fort Sumter, the details of the crisis and battle, the impact of Fort Sumter on the unfolding Civil War, and the battle's place in historical memory. Supplemented by primary documents including newspaper coverage, first-person accounts, letters, and government documents, and supported by a companion website, this book provides students with a nuanced understanding of both the long-term and immediate origins of the American Civil War.